We Have a HELOC Solutions for You! You may have heard that things just got a little more complicated for Canadians with a home equity line of credit (HELOC) seeking a new mortgage. Despite what recent headlines might say, you aren’t stuck between a rock and a hard place if you have a HELOC. First, let’s take a look a what is changing. Several of the big banks—including TD, RBC and First National—have applied a stricter approach for mortgage applicants who already have a line of credit backed by their home. The banks are now vetting these borrowers based on their HELOC’s credit limit rather than their outstanding balance. How exactly will that work? Previously, if you have an existing HELOC with a $100,000 limit but $0.00 balance, most lenders would simply use $0.00 as your repayment. But under the new rules, the bank will assume you’ll leverage that HELOC in the future and qualify you based on the limit—even if you haven’t touched a penny of it. Applicants will also need to pass a “stress test,” similar to the mortgage stress test, to ensure they can repay the debt at a higher interest rate. But that doesn’t mean you are stuck in your current situation if you have a home equity line. Don’t get us wrong, HELOC’s are convenient for funding things like home improvements or paying down more expensive consumer debts. But the banks have long been selling this type of loan as a “value add” to homeowners, leading to an average of $65,000 in HELOC debt for Canadians. With a little Mortgage Savvy, not only will we connect you to lenders who aren’t adopting these stricter policies, we can help you secure a lower rate and reduce or close your line of credit. We have access to lenders who can help you get rid of your mortgage and HELOC balance in one shot and transfer it to a competitive rate, helping you to pay down your debt and secure your financial future. Remember, we’re here to help you improve your financial situation with sound feedback and advice. We don’t just work with the big banks, we have access to over 40 lenders who give us the flexibility to craft a solution for your unique situation. Did you know that about 80 per cent of millionaires made their first million in real estate? Home ownership is the single largest source of savings for Canadian households. And with increasing housing prices, it’s even more important for first-time buyers to get a foot on the first ring of the property ladder. So what are some of the advantages of becoming a homeowner today? Your payments build equity (as opposed to renting, where your money goes to the building owner). Homeowners can use the equity in their homes as security for other loans. Buying a home and building equity is the first step on the property ladder. It gets you into the housing market, keeps you in touch with increasing house prices, and puts you in a good position to trade up to bigger and better homes as your circumstances allow. Figuring out how much home you can afford, hiring the right buyers agent and being ready to negotiate are a few ways to make the process less stressful. Some tips for saving for a down payment include setting aside tax refunds and work bonuses, setting up an automatic savings plan and using an app to track your progress. The downpayment may also be gifted from family. Before you start looking for your dream home, you need to know what’s actually within your price range. When you’re taking out a mortgage loan, your credit will be one of the key factors in whether you’re approved, and it will help determine your interest rate and possibly the loan terms. Many homebuyers get a rate quote from only one lender, but this often leaves money on the table. Speak to a Mortgage Savvy agent to review all your options. The right buyers agent should be highly skilled, motivated and knowledgeable about the area. The new mortgage rules, which officially took effect on January 1st, 2018, have been cast by the media as a dark cloud hanging over the head of homebuyers. But, the truth is, there is still plenty of opportunity for first-time buyers, those looking to upgrade, and people who need to refinance their mortgages alike. After all, the mortgage industry is no stranger to change—whether it be fluctuating interest rates, or variations in the real estate market, mortgage brokers have long embraced change as a positive thing. As we move out of January, and into the beginning of 2018, there is going to be a bit of a balancing act, for our clients, mortgage brokers, and the lenders themselves. While there may be some hesitation in the market as we adapt to the new guidelines, it’s important to remember that business won’t come to a halt—lenders won’t simply give up and accept the potential loss of business. We will likely see lenders create new programs that will allow for some adjustment for people in situations where affordability has dropped. Mortgage Savvy is proactively working with our lenders to help them understand the needs of our clients, so we can put you in the mortgage situation that’s best suited to your needs. First-time buyers may be feeling a little discouraged about the new mortgage rules—but it’s important not to throw in the hat just yet! With a little Mortgage Savvy, there is still plenty of opportunity for first-time buyers to make the leap into home-ownership in 2018. We don’t just deal with the big banks, we have access to 39 different lenders who can help first-time buyers into a position they were led to believe they couldn’t make happen under the new guidelines. We also have access to lenders who are still able to qualify people based on the old guidelines, which means even if you don’t have a big down payment saved up, you can still qualify for the mortgage you dreamed of. The number one reason we are seeing changes like these happen is due to high household debt. This is a great oppportunity to help you get into a better financial position. Together, we can look at the equity you have built up over the years, and then create a plan for the next three to five years by refinancing your outstanding high interest credit cards and lines of credit. By helping you refinance your mortgage, we can get you into a position where you don’t have to feel stressed about your monthly obligations. Even if you are coming down to the end of your current mortgage term and need to renew your current balance, we may have rates that are lower than you were locked into five years ago, thus saving you money! There are a lot of factors that go into a mortgage, which the average consumer doesn’t see. That’s why we believe it’s our responsibility to educate our clients and ensure they know everything about the product they are purchasing, about the lender they are signing with, and about how to maximize their interest rate. By taking the time to get to know you personally, and understand your goals for the next five years, we will be able to put together a financial plan that creates the best situation for you and your family. We’re here to discuss your short and long-term financial plan, so we can help you make the decisions that are right for your personal situation. And we promise we would never make a recommendation we wouldn’t suggest for our own family members. Get started by filling out an online mortgage application, and we’ll take it from there. Is now the right time to renew your mortgage? The new mortgage rules, which officially took effect on January 1st, 2018, are taking over headlines in the media. But a recent survey found over a third of Canadians aren’t aware of the new rules at all. Instead, most of the country is simply focused on paying off their credit card debt after the holidays. So if you’re finding yourself buried in bills and struggling to keep up with your minimum monthly payments, you’re definitely not alone. The good news is: you have options. We started our mortgage brokerage not just to secure you the best mortgage rates, but to help you make your dreams of financial freedom a reality. While the turn of the New Year is an expensive period for many, it also represents a fresh start – both for you and for your finances. What better time than now to make the kind of change that will have a long-term effect on your financial future? 1. You’re ready to wipe your credit card debt clean once and for all. You probably know there’s such a thing as good debt and bad debt. Those credit card statements you pay the monthly minimum on before stashing away in a drawer somewhere? That’s bad debt. This is because credit cards have some of the highest interest rates, and they aren’t used to buy appreciating assets. You can use credit cards effectively for the rewards and other benefits, but this means paying the balance off in full each month. While bad credit card debt may have caused you a lot of stress over the years, there’s a way out. A mortgage refinance can reduce the interest on your loan from 15-18% to a much more reasonable 3.25%. Ask us how by using the Live Chat feature at the bottom right corner of our website. 2. You want to make sure you’re receiving the most competitive interest rate on your mortgage. Securing the best rate on your mortgage involves a lot more than comparison shopping. It’s about much more than your credit score. When you work with Mortgage Savvy, you can rest assured knowing we’re doing everything in our power to find the best financing for your situation. Mortgage rates can vary by several percentage points, and the difference can lead to a much higher or lower monthly payment. This means refinancing with a better rate can end up saving you tens of thousands of dollars in interest payments over the life of your loan. Get your paperwork ready using our savvy refinance checklist, and then apply online to expedite the process. 3. You want to build a life by financial design. Money is a tool. Every day, we rely on this tool to build the life we want. Every financial decision we make has an impact on our future. This is why it pays to know your options. It pays to be aware of your numbers, and to seek out the solutions that work best for your unique situation. Your mortgage can play an instrumental role in helping you reach your financial goals. Our mortgage experts are here to support you in taking that first step. We’re here to help improve your personal wealth, and we do this by providing sound feedback and advice throughout the life of your mortgage. Let’s make 2018 your best financial year yet. Get in touch today to find out how we can help. As of January 1st, 2018, all home-buyers will be required to undergo a new “stress test” – regardless of your down payment amount. This will not only reduce how much financing you qualify for on your next purchase, but it will also limit affordability on the refinance of your existing home. In fact, some scenarios show Canadians will be able to afford 20 percent less house once the new rules come into effect. Securing your mortgage before the January 1st deadline could potentially save you tends of thousands of dollars. The question is: how do the new rules affect you and your financial goals? You’re a few months away from buying your first home. For years now, you’ve been working hard to cut down on expenses and save up for that down payment. The fact is, you’re tired of paying someone else’s mortgage and you’re ready to start investing in your own financial future. If you’ve been thinking about purchasing a home in the coming year, you may be closer to your goal than you realize. 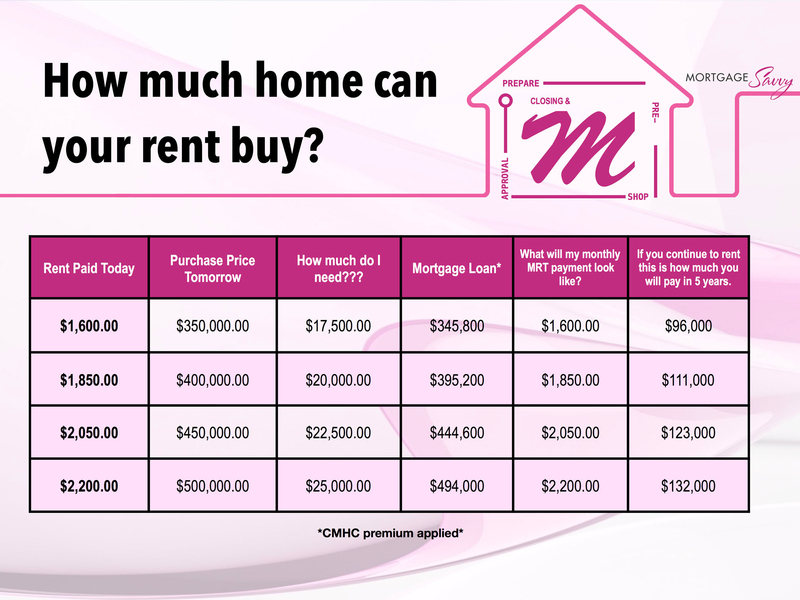 Wondering how much house you can afford? We break it down in the chart below. For more specific numbers, try using our savvy calculator to determine affordability based on your current income and budget. Of course, these numbers are all about to change. As of January 1st, 2019, your maximum mortgage affordability will drop. 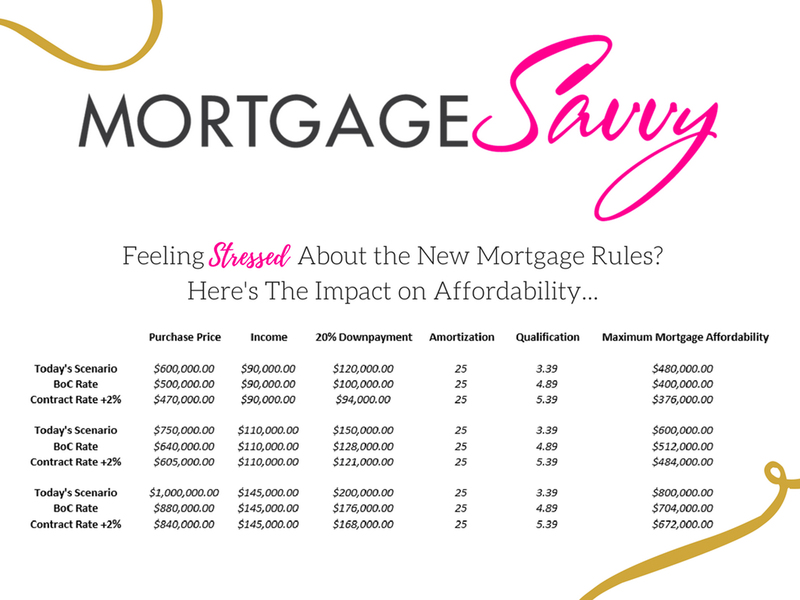 We summarize the impact in our affordability chart here. Wondering if this is the time to make the leap into home ownership? Fill out our online application to determine if now is the time to buy your first home. You have some debt to pay off (or large expenses coming up). Perhaps your kids are heading off to university, or you are looking to free up some extra cash to cover home renovation expenses. Refinancing allows you to tap into your home’s equity to pay off debt while taking advantage of lower interest rates. In fact, you can refinance up to 80% of your home’s value to pay off unsecured debts, renovation debt, or to simply access cash. If your debt is weighing you down, this may be your best opportunity to make a change. Fill out our quick and easy online application form and we’ll help you determine if refinancing before the January 1st deadline is the right option for you. As your family grows, so does your lifestyle. Right now, mortgage rates are at a historical low – we’re talking 1.99% for a variable five-year mortgage rate in Ontario. At this rate, a family buying a home for $500,000 with a $125,000 down payment could expect to have a monthly mortgage payment of $1,743. But as of January 1st, that same buyer will have to undergo a stress test prior to qualifying in order to ensure they can afford to pay their mortgage at two percentage points higher (3.99%). This means they would have to show they can afford to pay a mortgage of $2,165 per month. That’s a difference of $422 a month – or $5,064 a year! (Refer to “Chart B” above for the full breakdown of the impact on affordability). If you’ve been thinking about making a move, it may be in your best interest to secure a mortgage pre-approval before the new mortgage rules kick in. You’re looking to make an investment purchase. By now you know, it’s about to become tougher to qualify for a mortgage. No matter how you look at it, your purchasing power will decrease when the new rules come into effect January 1st. If you’ve been considering financing an investment property, doing so before the deadline could mean the difference of owning up to 20 percent more house (as opposed to waiting until 2018 to purchase). Take a few minutes to fill out an online mortgage application today, and we’ll get back to you right away with the answers you’re looking for. While the January 1st deadline is fast approaching, we want you to remember: it’s not just about the numbers. Even if you’re not in a position to purchase before the January 1st deadline, you still have options.